The legitimacy of card games is a debatable topic in India due to the common notion that winning depends on equal amount of player’s luck and skills. But rummy is an exception here. Rummy is a competitive game where player must exhibit expertise and knowledge to win the game. In 2015, Supreme Court of India declared out rummy as a sport of skills. Playing rummy online or offline is not an offense or violation of law in most of the states in India. Playing Rummy is absolutely legal in India. How rummy is a sport? As playing rummy requires putting money at stake, most people think that luck plays the bigger role and dominates the skill factor in the game. The truth is, learning, training, and practice is needed to master rummy. A sport is an organized competitive physical or mental activity where winning of an individual or a team depends on their knowledge, skills, and experience. In rummy, a player needs to form correct sequence/sets in a predetermined time period to win the game. It is true that limited amount of physical activity required to play rummy, but it had all the core elements of a mind game like- planning, observation, mathematical calculations, and decision-making skills, which are needed to defeat the opponents. To stay and survive in the game for long, players must learn the game along with all the rules and regulations in detail through books, online forums, blogs, videos, etc. Players need to develop and improve their own strategies, tricks, and tactics through training and continuous practice. 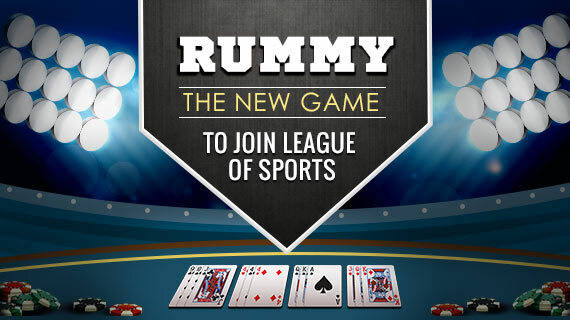 Rummy is a mind sport and it is getting popular at a rapid pace world-wide. 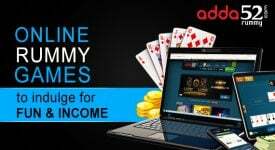 Like any other sport, rummy players from around the globe participate in offline rummy events to win the title and take home great cash prizes. The opportunity to travel to different parts of the world to play in the big international competitions and make tons of money is enough to attract players to learn and master this entertaining game of cards. As the number of rummy enthusiasts is increasing day-by-day, number of rummy websites is also growing at a great rate, which are offering huge case prizes and bonuses to attract maximum players. 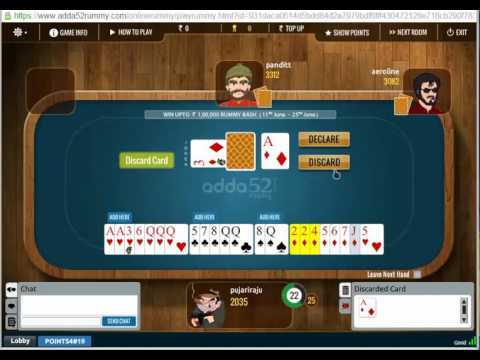 What separates Adda52 Rummy from other websites is the fact that this splendid gaming platform has a vision. We understand that our players rightfully deserve world-class rummy games and high-quality gaming experience. 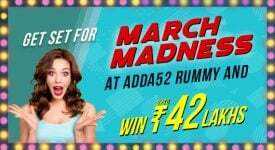 One of the most appealing aspect of Adda52 Rummy is there are number of entertaining and extremely rewarding cash games and tournaments available 24×7 on the website. Players can also practice and earn real time experience of tables by playing with freeroll chips on practice tables. Millions of registered players are enjoying rummy games like 13 cards rummy, 21 cards rummy, and Pool on the website. 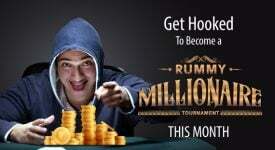 It hosts several great challenging rummy tournaments throughout the year with enormous prize pools. So, don’t wait and join the game which is taking the nation by storm! 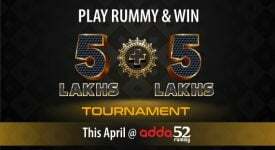 Sign up on Adda52 Rummy to participate in the outstanding online rummy events and win tremendous cash prizes and bonuses.